A sign is posted in front of State Delegate Dana Stein’s house: “Stop the Development,” asking to support his fight against the proposed ARIEL synagogue. Next to that is a parked car showing a bumper sticker, “COEXIST,” calling all to live together in peace . . .
For many years, our community has been looking for a place suitable for the construction of our own synagogue. This project was planned years ago under the auspices of the ARIEL Center. The current facilities of ARIEL are rented, and inadequate for our purposes. Thankfully, attendance and the number of programs are growing and, at this stage, ARIEL needs a place of its own. Finding a home for the synagogue has been complicated because, in addition to practical considerations, byzantine municipal laws prevail. For example, one may understand why a synagogue cannot be built next to an establishment that sells alcohol, but why can’t a religious institution be built near a gas station? On account of these arcane laws, a synagogue cannot be built in many places that would have otherwise been convenient and suitable. Historically, religious institutions have always been built in residential areas (rather than among commercial establishments). The Zoning Code allows houses of worship to be built in residential neighborhoods if they meet a number of conditions. After a long search, our community finally found a place suitable for a synagogue. This plot is located on Stevenson Road, a half mile north of the beltway in the “Stevenson” neighborhood. The plot is big enough to both create sufficient parking and erect a building, while also observing all required setbacks from adjacent properties. This site turns out to have only one negative side – the neighbors. Indeed, if you talk to the neighbors today, they will tell you that they are not inconvenienced by the synagogue on Old Pimlico Road. Furthermore, national studies show that synagogues have a positive effect on neighborhoods all across America. Houses of worship have been recognized as making areas more stable. After they are built, the prices of nearby houses go up, because the congregants want to live near their synagogue. While permitting religious institutions in residential areas, the Zoning Code also addresses potential concerns of the neighbors. Therefore, houses of worship must be separated by a space of at least 75 feet from all neighboring properties, and rows of trees must be planted for screening. The distance of 75 feet is the width of an average residential lot in our area. In other words, even the closest neighbors are pretty far from the proposed ARIEL synagogue. In addition, the space between neighboring houses and the proposed synagogue is going to be densely planted with trees. People living nearby will not see the synagogue building. Our situation is complicated by the fact that some of the neighbors fighting against us are government officials. Dana Stein, a State Delegate from the 11th district, lives right next door to the site of our future synagogue, and he became one of the leaders of the opposition. Along with his wife and several other neighbors, he organized town hall style meetings. The operation against the synagogue started looking like a well-organized political campaign – with loan signs (like the ones we see prior to elections), brochures, meetings, a website, and mass e-mails. “Activists” were knocking on the doors of every house in the neighborhood trying to persuade the residents to sign a petition against the synagogue. The opposition even made T-shirts with their slogan. Stein asked his colleague, State Delegate Dan Morhaim, for help in this fight. Morhaim sent out emails and spoke in court, hotly opposing the synagogue. Leaflets with false information about synagogue plans were distributed in the entire Stevenson area. They claimed that the synagogue would build a day-school for children. Also, their claims about the size of the construction were greatly exaggerated. Stein was joined by several “big name” Baltimore families who live in the area, like Bruce and Caren Hoffberger, who live nearby. The opposition became increasingly explicitly aggressive. Neighborhood residents who supported the synagogue were kicked out of community meetings. “Who are you to come to OUR area? Build your Russian synagogue in Millbrook!” shouted Stein supporters. Naively, we believed that segregation laws were abolished long ago, with no division between “our” and “their” areas. The slogan that the opponents chose for their campaign was “Protecting the neighborhood”. They proudly wrote this slogan on their website, in their brochures, and on the red (!) t-shirts they manufactured as their battle uniform. The slogan does not mention who they are trying to protect the neighborhood from… but it is quite clear on its own: from us. “It’s hard to believe that some of the people who only a couple of decades ago fought for the Russian Jews’ religious freedom are now fighting against the Russian Jews’ right to build their own synagogue!” says Rabbi Belinsky. Ironically, the efforts of those who consider themselves to be the “ruling elite” did not produce the results they desired. At first they claimed that their entire neighborhood was opposed to the building, but their assertions were not confirmed by the facts. The Stevenson area has more than one thousand families. “Activists” went to every house, knocking on every door (and some doors several times), and requesting residents to sign a petition against the synagogue. Only 300 families agreed to sign it. That means that after all the campaigning and all the pressure they put on neighbors, less than 30 per cent agreed to (even symbolically) support their opposition. Our Center received many calls and e-mails from Stevenson residents in support of the synagogue.  People who had never heard of ARIEL before and even those who do not belong to any religious institution, voiced support for our cause. Some said they supported ARIEL because they knew that synagogues strengthen neighborhoods. Others welcomed it because they wanted to have a synagogue close to their home. Many were in favor of our project because they saw how aggressive and unfair the opposition was. All these people added their voices to the voice of our own community, which overwhelmingly supports the synagogue. Those opposing the synagogue were well aware that they had no legal grounds to stop the project. At one of their first meetings, they publicly announced their plan to use the strategy of “draining”. That is, they hoped to draw our synagogue into a prohibitively lengthy and expensive legal battle, which is obvious abuse of the public court system. Dana Stein, together with his wife Margaret, Delegate Daniel Morhaim, Caren Hoffberger and several other neighbors, spoke at the Zoning Hearings continually. They came to the witness stand with lengthy, perseverative speeches. Some people were so intensely caught up in their fight that they could not see the humor (if not absurdity) their statements. Kenneth Abel, who lives in a house almost double the size of the proposed synagogue, was concerned that ARIEL’s building would be too big for the surrounding area. One elderly woman testified that a synagogue could be built on Stevenson Road because walking down Stevenson is impossible. She knows it because she and her husband walk down Stevenson Road to their synagogue every week for the past 25 years. When asked, she said that she doesn’t see any reasons to stop doing it… I guess Stevenson Road is “impossible” for walking to ARIEL, but it is suitable for walking to the neighbors’ synagogues. By the way, one of the three (!) attorneys fighting against ARIEL has been jogging down Stevenson Road on a regular basis, yet he maintains that the synagogue cannot be built because the road is too dangerous! At this point it is clear that the size of the opposition is out of proportion to the issue at hand. The viciousness expressed by the opponents (...) cannot be justified simply by their concern for rabbits and foxes. Delegate Stein testified that the synagogue could not be built because Stevenson Road was dangerous for driving. As proof of this, he said that there was once a car accident in front of his house. He forgot to mention that this was during the historic ice storm when every media outlet had recommended not driving at all. Stein’s claims contradicted a testimony by a professional traffic engineer, who demonstrated that the street is safe and suitable for the construction of a synagogue. The opponents of the synagogue did not produce any professional experts who would support their position. Dan Morhaim testified that as a doctor, he often sees injuries occurring because people travel on streets similar to Stevenson Road, that is, “one lane in each direction”. In his opinion, therefore, no house of worship should be built on a street like that. His testimony did not take into consideration that the vast majority of Baltimore County’s houses of worship are built on streets with one lane in each direction. Mrs. Stein and several others spoke about the wildlife in the area – rabbits, foxes, deer, and snakes that visit that property. She spoke against the synagogue because the animals would be left without a place to run around. One must guess that, in her view, a place for foxes to play is more important than a place for Jews to pray. Perhaps she would prefer to live next to rabbits than next to rabbis. And by the way, weren’t deer running around her property before her house was built? At this point it is clear that the size of the opposition is out of proportion to the issue at hand. The viciousness expressed by the opponents, most of whom live in houses bigger than the proposed synagogue, cannot be justified simply by their concern for rabbits and foxes. As of November 23rd, we completed the multitude of hearings and we look forward to the final legal decision sometime in January. The judge sad that this was the longest zoning hearing he has seen in his entire career! Every time we go before a judge, we cannot predict the exact outcome, but according to experts, the synagogue has proven its rights. Federal law under RLUIPA clearly states that religious institutions always have the right to build in residential areas. Additionally, federal law always prevails over municipal resolutions. So if the construction of the synagogue is rejected at the local level, federal authorities can intervene to secure permission to build. At this point, Dana Stein and the others fighting against this synagogue are beginning to feel the heat as their bullets are rebounding back to them. Baltimore County officials received hundreds of calls and e-mails in support of the synagogue. Many people spoke about their disdain of the abuse of the legal system. Media began to cover the events, and the synagogue’s opponents saw that their position can hardly be presented in a positive light. People began to question the ethics and even legality of Dana Stein’s actions, as they see him using his politician weight in a fight for personal interests. His problem is compounded by the fact that he is heading a fight against a religious institution.